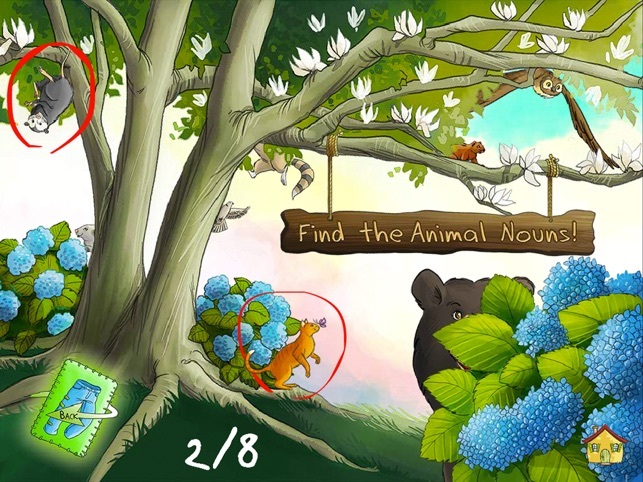 Review: The iMums: Overall a well made, engaging educational app - highly recommended. Featured by iMums in Boston.com's "24 Mom-Tested Back-to-School Apps"! 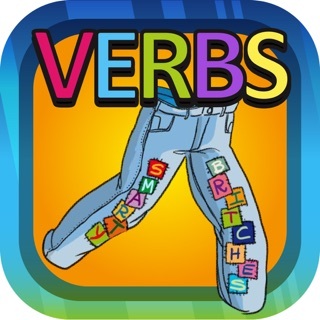 Fun Educational Apps: This app is a good teaching app for kids just starting to learn parts of speech. Travel to the Deep South and discover NOUNS! Join a boy with a magical pair of Smarty Britches as he explores fascinating people, animals, places, things, and ideas. 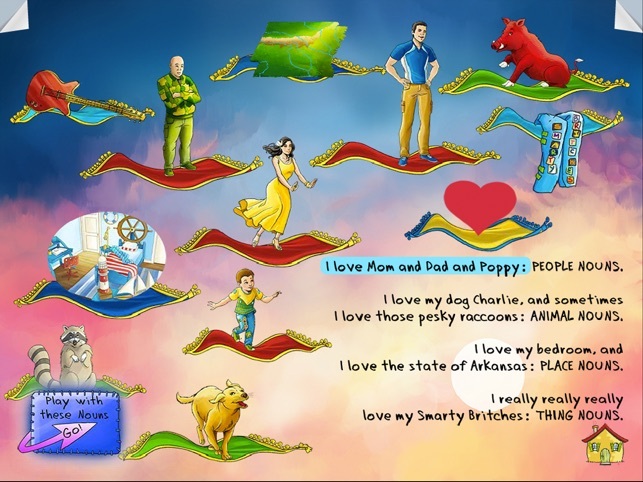 Created for teachers by a National Board Certified Teacher, aligned with Common Core State Standards, and designed to engage and inspire kids as they learn about NOUNS! Standards aligned activities - including Project-Based Learning - for teachers, homeschoolers, and parents are at http://appswithcurriculum.com/curriculum/smarty-activities/ . 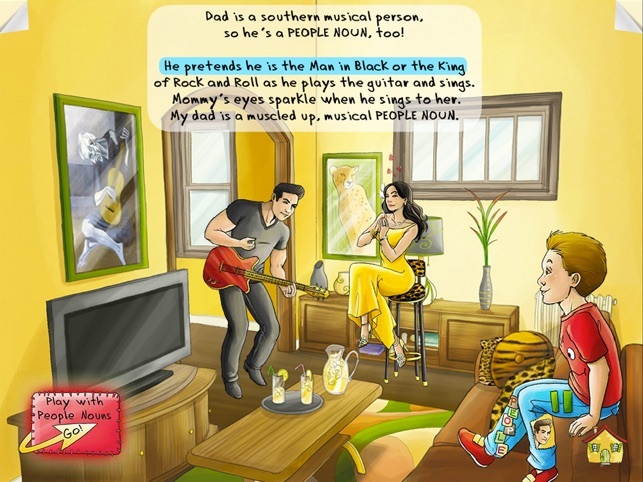 The app and activities explore the cultural uniqueness of the South, depicting its beauty and the charm of its southern people. 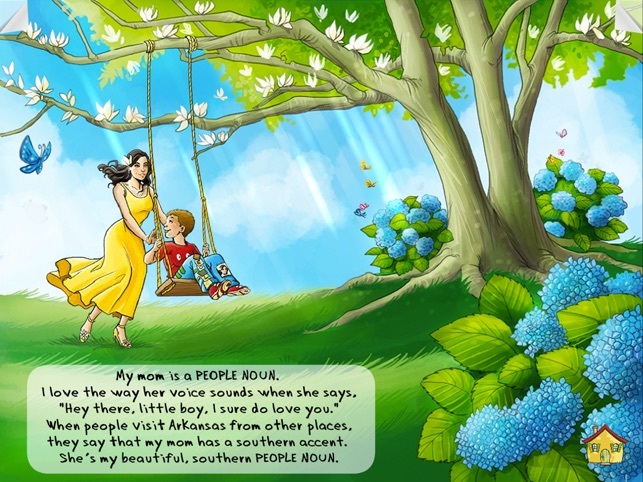 Educational Features: Designed by a National Board Certified Teacher, these interactive storybook apps include educational activities within the app and support activities at The app and activities explore the cultural uniqueness of the South, depicting its beauty and the charm of its southern people. .
Dragonpencil is a developer of custom children's book apps. They can be found at dragonpencil.com. Visit CyndieSebourn.com for more information. I am a retired English teacher, and I recently purchased Smarty Britches: Nouns for my 7 year old grandson Nathan, who is much more interested in tractors and motorcycles than in learning and school. Once I had installed it on my IPad he refused to play it (I wasn't surprised! ), so I tested Smarty Britches myself. When he saw how much I enjoyed it he asked to play, and since then he has needed no encouragement to explore it over and over again. He will definitely have a head start on nouns when he enters second grade later this month! I look forward to purchasing future Smarty Britches programs -- anything that makes learning fun for Nathan will be well worth the investment! The best thing about this app is twofold: interactive engagement and the continuity of learning. The app will help young children to stay actively engaged by learning nouns at their own pace via technology. 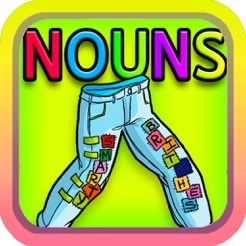 Moreover, it flows well with the lesson's presentation of nouns, followed by activities that reinforce each aspect of a noun, and finally a review. The activities were my favorite part of the app. The various settings at the beginning of the lesson allow learners the opportunities for further enrichment in reading skills and oral communication skills. A great teaching tool for K-3, effective review for mastery, and very appropriate for ESL students as well! Impressed with the correlation of the app and the Common Core Curriculum. Our granddaughters have really enjoyed this app over and over again Our 4yr. old is Autistic and she found this app very entertaining and easy to work, especially the words on the lightbulb, she picked them up in no time at all and loves the way they bounce right at her. We love the way it teaches through sight sound and touch. The story and voices are just adorable. The girls have had hours of fun with this story, and when everyone is busy Kate loves the way it reads to her and she can follow along already..
PS Can we get a Texas story next??? ?